Fox Sports 1 is really stepping up their coverage of college football. The FOX College Saturday Tour will be in Morgantown at the WVU Coliseum Saturday morning prior to the Mountaineers’ Big 12 matchup with Texas Tech. The FOX College Saturday Tour is a traveling pregame show that hits cities around the country offering a number of fun and interactive activities for college football fans. The event kicks off at 8 a.m. in the WVU Coliseum parking lot outside the Blue Gate. Parking at the WVU Coliseum is free on football game days with shuttle service to Milan Puskar Stadium available for $4 per person round trip. In addition to interactive activities, live segments will be filmed at 10:30 a.m. from the WVU Coliseum as part of the FOX College Saturday pregame show on Fox Sports 1. 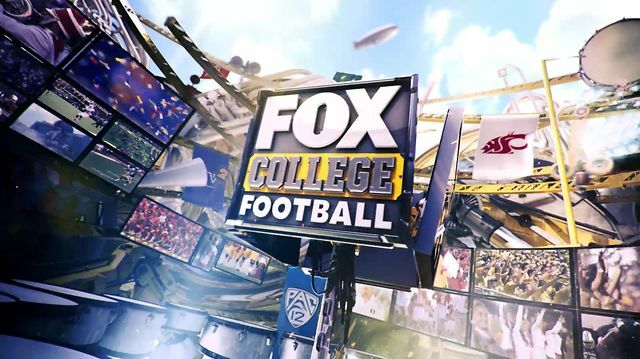 The FOX College Saturday Tour is free for fans and open to the public, and the available activities include a skills challenge, virtual gaming center, and a fan lounge with a 16’ x 10’ wide screen television.